You wouldn’t have thought that a land most well known for expansive grass land would have much to see, but putting down your technological creature comforts and travelling the vast expanses of grass land or desert, you will find a nomadic culture largely unchanged over generations. The beauty of the Mongolian capital city is in the embrace of technology and the desire to keep up with the modern world, but entwined deeply are age old traditions, not least in the Naadam Festival in July. A highlight to the locals and visitors alike this festival dates back to the time of Genghis Khan and is celebrated by three competitions of ‘manly’ sports of archery, wrestling and horseracing, the fundamental skills that Genghis founded his empire. The largest desert in Asia is a dramatically arid and varying land once populated by dinosaurs, this region has laid claim to some of the most notable archaeological findings in history when the first dinosaur eggs were discovered in 1920. Travel by horseback along the flaming cliffs, named so after their flaming orange colour and hike along the edge of the steppe along the frosty plateau where eagle hunters will spend a majority of time surveying the land. A past capital of Mongolia and home to the Erdene Zuu Monastery, this city has a lot of history as the city was near on destroyed by Chinese troops during the Ming dynasty when it was a central administrative establishment. 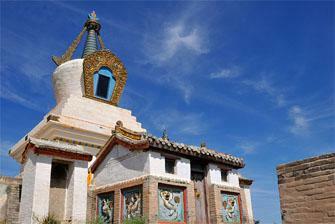 The Erdene Zuu Monastery was built with the remains and became a museum in the time religion was forbidden. The history surrounding this city and extensive, exploring is essential, with many locals willing to provide a homestay in a ‘ger’ and arranging a ride out on horses. Held primarily in Ulaanbaatar but mini festivals around the country are held in celebration of the Mongol empire’s rich history that saw them conquer lands that spanned a fifth of the worlds land mass. The Nadaam is a celebration and pride about the past and where the best in their chosen sport travel from across the land to compete. The spectacle of this event is one not to be missed with the highlight being the opening ceremony. This crystal clear lake is a hotspot for wildlife. 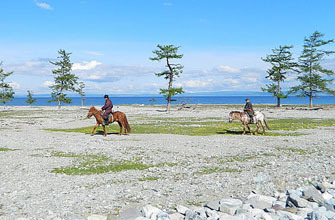 Elk, ibex and bears are a common sight within the Khovsgol Nuul National Park surrounding the lake. Ger’s and grazing cattle are commonplace around these rich landscapes of spruce trees, streams and craggy peaks. Some say this is one of the best regions of the world for small boat fishing where you can hire a canoe or row boat and fish for dinner to be cooked for a local family in their ger. There are many experiences to be had in the vast country that sticks to age old traditions and passed down skills, to say you can learn a thing or two would be an understatement, the natives are a friendly and welcoming people that are only too enthused to share with you their knowledge. 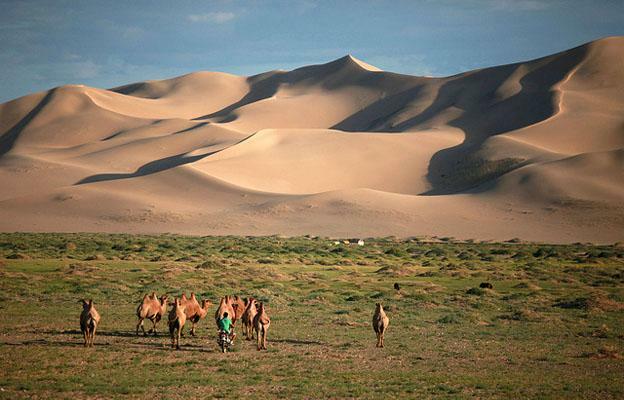 Andy the author of the “Essential Mongolia – A Gobi Desert Tour” has just returned from a three month long trek of Asia and has returned to work as a travel advisor for Sanctuary Spa Holidays dealing mainly in Spa and Yoga holidays. A stark contrast to the desolate lands of Mongolia. Terelj Hotel located in Gorkhi-Terelj National Park, part of the vast Khan Khentii Strictly Protected Area – this palatial yet intimate hotel is a destination in itself. Should include on your next list. Yes, Mongolia would certainly be a grand adventure.